Home World Europe Is Paris Municipality Supporting MKO Propaganda? 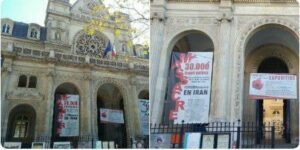 Iranian social media users are circulating photos purportedly documenting the support of the Paris Municipality for the Mujahedin-e Khalq Organization, questioning a claim by the French government that it does not lend support to the anti-Iran terrorist group. Iran accuses France of providing support for the group’s activities, but France officials deny the accusations. The MKO is designated a terrorist organisation by Iran and Iraq and was considered as such by the US and EU until 2012 and 2009 respectively. 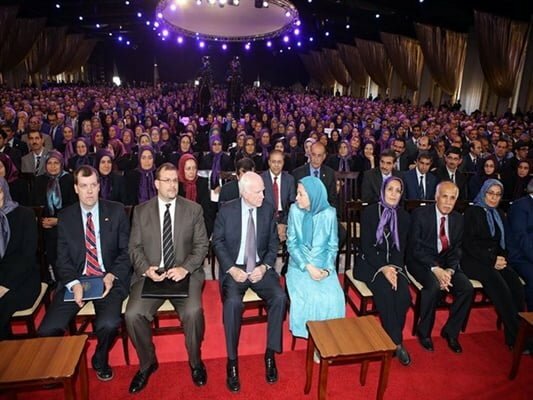 The notorious group is responsible for numerous terrorist attacks against Iranian civilians and government officials over the past three decades, which are estimated to have left over 12,000 dead.